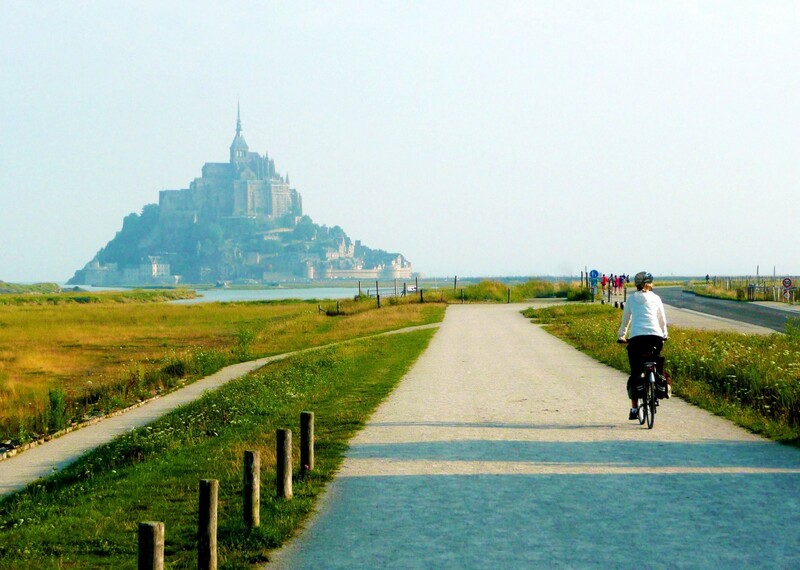 A beautiful, self-guided cycling holiday in France - a country that is synonymous with idyllic cycling along quiet country lanes and backroads. You'll be riding through unspoilt, spacious countryside where cyclists are welcome and where the pleasures of the palate are rewarded daily. 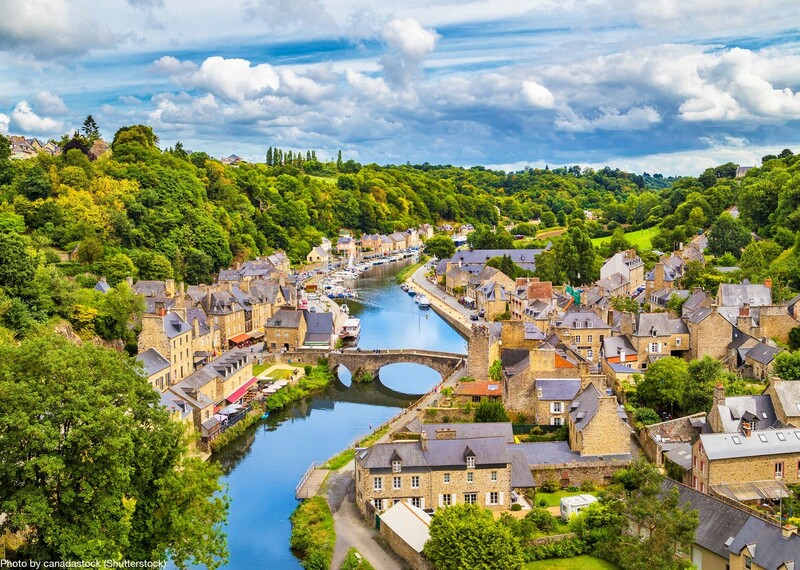 Brittany is famous for its rich cultural heritage and architecture. 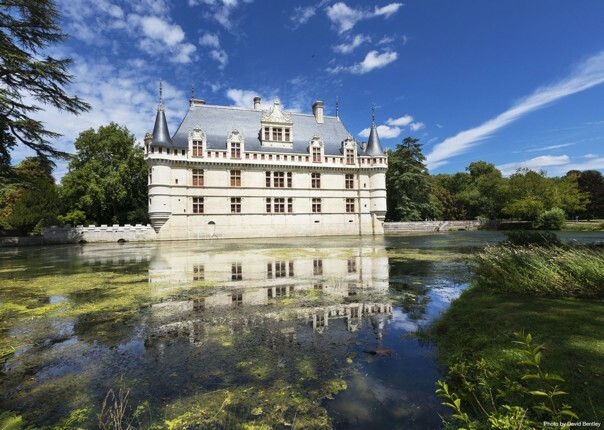 Castles, feudal fortresses and abbeys are all waiting to be visited, and the area is rich in flora and fauna. 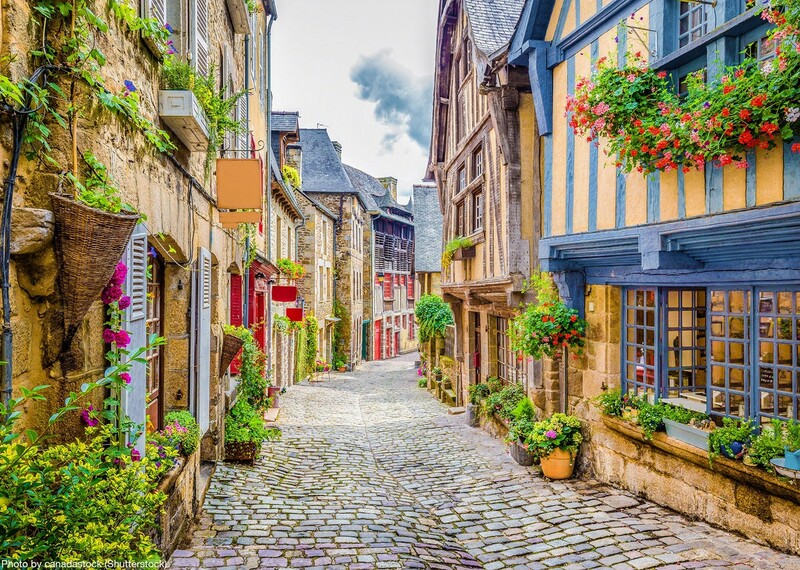 Starting and finishing in the medieval town of St. Malo, your journey includes stops at the awesome 8th century abbey Mont St. Michel and the charming fishing village of Cancale. The coastal section includes a line of fine sandy beaches interspersed with rocks, reefs, granite headlands and sheer cliffs, which are dappled pink and grey in the sun. 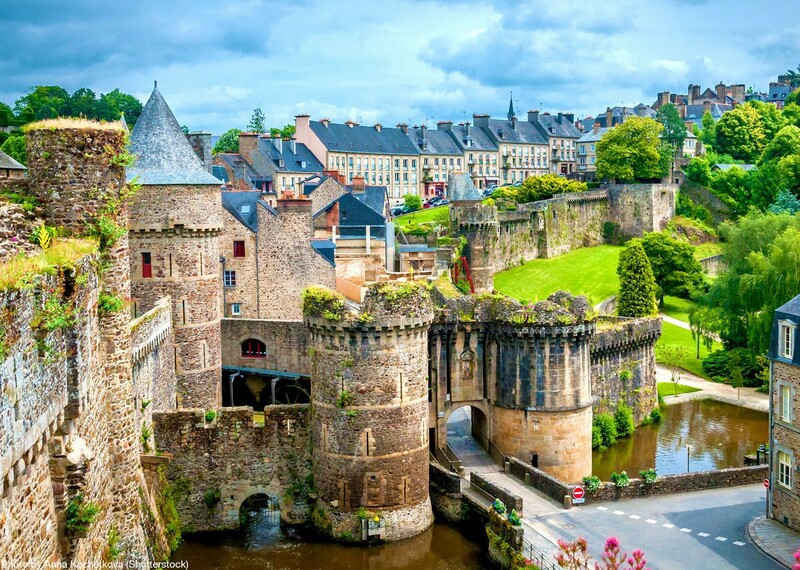 Heading inland you will visit the finest of Brittany's towns, with their medieval castles and charm. 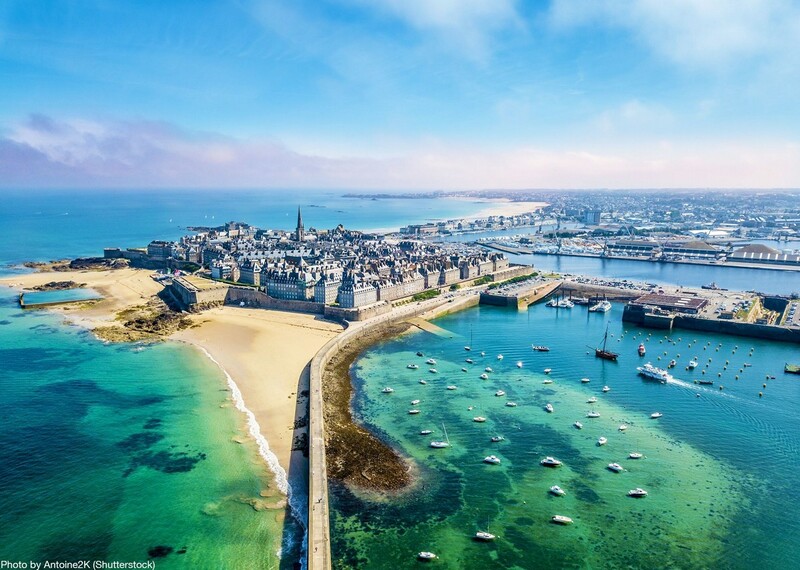 You cycle through quaint villages, farmlands and forests before finishing your cycling holiday where you started, in the walled town of St. Malo. 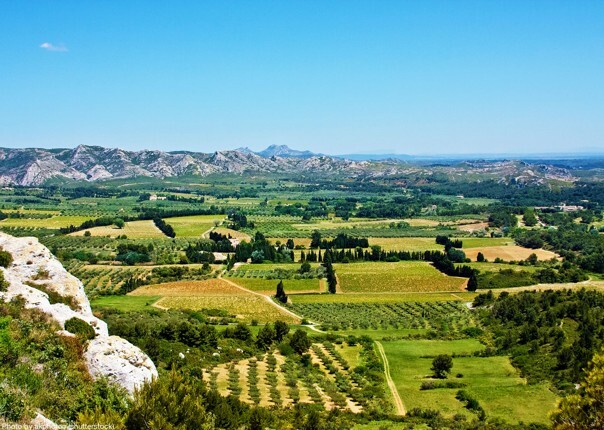 Our French cycling holidays are all about good food, comfortable accommodation and beautiful cycling routes which create a memorable cycling holiday experience. 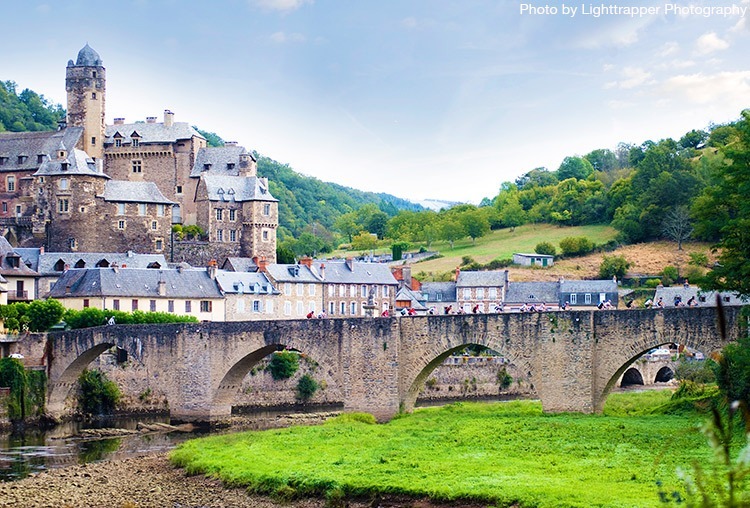 Whether travelling to France by plane, driving or taking the train, a warm welcome will greet you at your first night's accommodation. 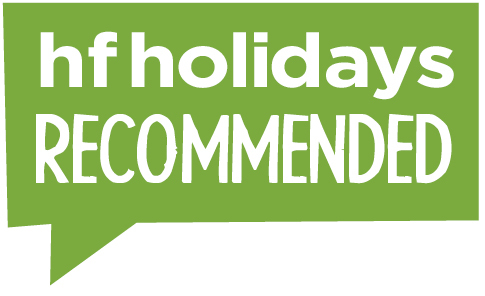 You'll stay in carefully selected small 2 and 3 star hotels and guesthouses. 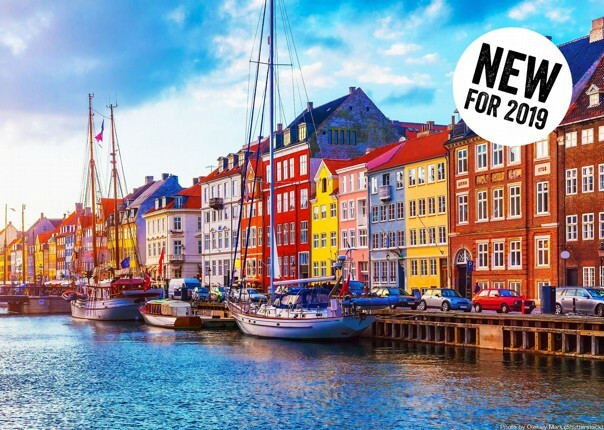 This self-guided holiday is available for a minimum of two people. 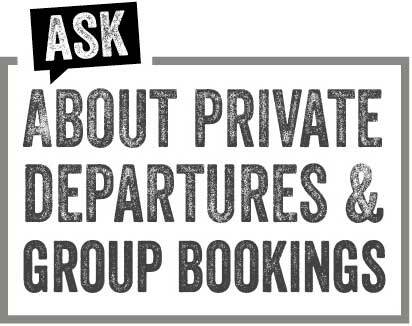 We book all your accommodation, transfer your luggage and provide you with cycling routes and a detailed itinerary. Just contact us with your preferred dates. All the accommodations were great and people extremely friendly. Hard to choose a favourite place – we enjoyed every destination. 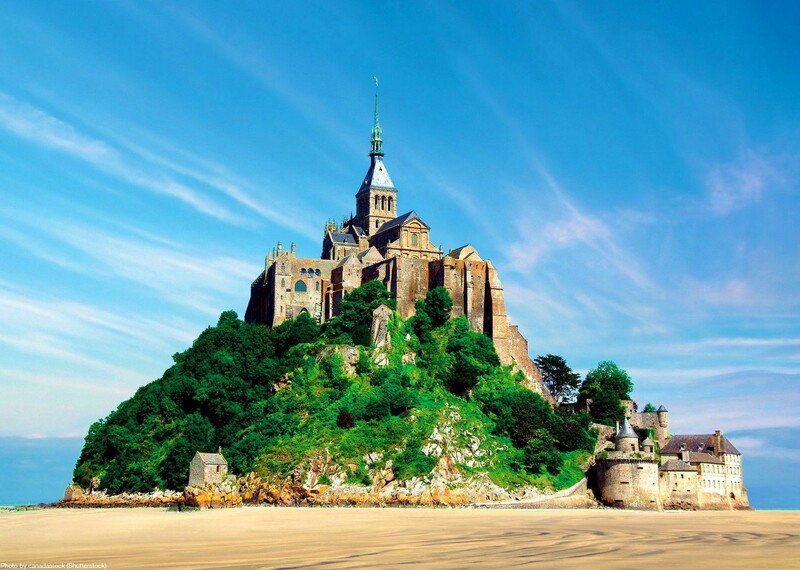 Perhaps Dinan and St Malo stand out and of course our visit to Mont St Michelle. Overall we found the routes varied, challenging in some places but just what we expected. Very enjoyable! The team from Saddle Skedaddle were awesome. We dealt with several people over the time we were organising our trip and each person we dealt with was amazing. So helpful and replied immediately to all our queries. Had a fabulous time on our trip round Brittany. Great cycling through beautiful countryside, interesting towns & villages and amazing weather. Excellent communication before we departed for our trip- even down to call the day before we left to make sure everything was in order. Felt like a valued customer. Hotels were excellent and in superb locations. Right in the middle of the towns/villages and all of a really good standard. Erwan , our rep in France, could not have been more helpful or friendly and put us completely at ease. Excellent service. The holiday was everything I'd hoped for - and more! Had expected accommodation to be ‘adequate‘, but I was wrong! Hotels varied but all great, with some positively beautiful – eg 16th century hotel in Pontorson, Brittany, with en suite down spiral staircase within our room. Couldn’t ask for more helpful staff, especially with last minute requests! Thank you very much indeed. This holiday was a birthday present for my husband’s 60th birthday, and he just loved it. Roll on his 70th. (I think we’ll be Skedaddling again before then though. )Would love to go on another Saddle Skedaddle holiday now! Booking was easy and the staff extremely helpful and attentive. We all enjoyed our holiday very much. We found the long days harder than anticipated, particularly the cumulative effect of saddle sore but we are proud of our joint achievement, it is a great holiday for family bonding! Very Good – All in all we had a great trip. Really nice hotels, good bikes, amazing routes. A really, really nice experience! Everything worked perfectly with luggage transfer and bike hire. Excellent – Good facilities, lovely large rooms and bathrooms, fantastic locations and some excellent restaurants. All hotels were very well located for wandering around the towns after a good days cycling. The cycling included beautiful scenery with many pretty small towns so had a good combination of rural and town sights.